Don’t let this fool you because yogurt is really great for your body and overall well-being. But I did want to shed to light one main aspect of yogurt which is possible weight gain. Now I use the term possible very loosely here for those persnickety people and I know my own mother was always asking me about how to shed that extra pound to reach her goal weight and one was through yogurt. Before we get into that let’s go over a few things that make yogurt so beneficial and I really want you to understand why that is. First off you might have noticed that the yogurt aisle or section of the grocery store is slowly over running the cottage cheese and even overlapping into the milk section. I noticed this a while ago but didn’t realize it until this past year really what was going on. The FDA as well as other major studies have found so many health benefits that they wanted to shed light on that they started pushing yogurt immensely. Remember one of my blogs, and I’ll refresh you here if you didn’t read the fast food blog I typed, that of Americans over the age of 20 years old, 33% of them are considered obese. Well yogurt really does counter that effect. You might have heard or will hear the term pop up called “Probiotics” and I’m sure you read this blog for some great tips but also a little nugget of insight so let me explain what this is exactly. Probiotic, which literally means ”for life,” refers to living organisms that can result in a health benefit when eaten in adequate amounts, which would be daily yogurt servings. Not only that but yogurt is made partially of cultures which are living good bacteria that your body needs to help fight off bad cells and diseases. This is why when you are sick with the flu doctors always recommend eating yogurt because your body is most likely low on good bacteria. Also for those of us who are getting older the Vitamin D in yogurt also lends a helping hand to strong bones which is facilitating the fight against osteoporosis. It also is said to help reduce the risk of high blood pressure which is a major issue in the health world these days. Now before we get too ahead of ourselves here let’s remember that not all yogurt is the same and just like my mom from before she was gaining weight eating yogurt and that’s because the fancy little label fooled her and I don’t want it to fool you too. WARNING: Be careful with flavored yogurt because sometimes the manufacturer tends to play around with servings sizes and so you might think you’re only getting so many calories and sweeteners but in actuality you might be getting a lot more than you bargained for. I’m not going to do a scientific breakdown here and it’s really not a huge deal, but I’d recommend staying away from chocolate yogurt moreso than anything else like fruit flavors. Like I said before yogurt is a great way to help boost your immune through those active cultures (ie good bacteria) but there are other ways that you can do the exact same thing. 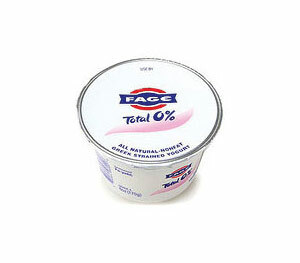 Yogurt is made from a milking process just like one of my favorite diet supplements of all time: whey protein. Whey is now considered the number one protein supplement in the world due to it’s high Biological Value which you’ll learn about in that article. But it’s also jam-packed with vitamins, minerals, amino acids and glutathione – the number one antioxidant on the planet that are bodies are actually deficient of. One other reason I really love this stuff other than it actually tastes good unlike the chalky stuff you might have had before, is that it curbs your appetite. You know mid day when you want to eat something and you tend to go into the pantry and eat that junk that gives you no energy. Well whey is the exact opposite because it gives you energy but also help you avoid those cravings because the protein fills you up longer. Ok so that’s it for me today! Leave some comment love and I’ll see you next time.